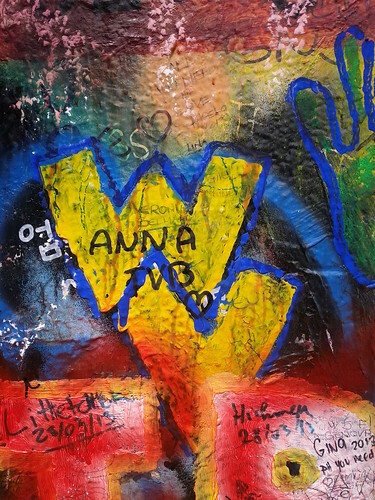 Seen in Prague, Czech Republic on the John Lennon wall. WV in Prague! With Cyndi for time alone.